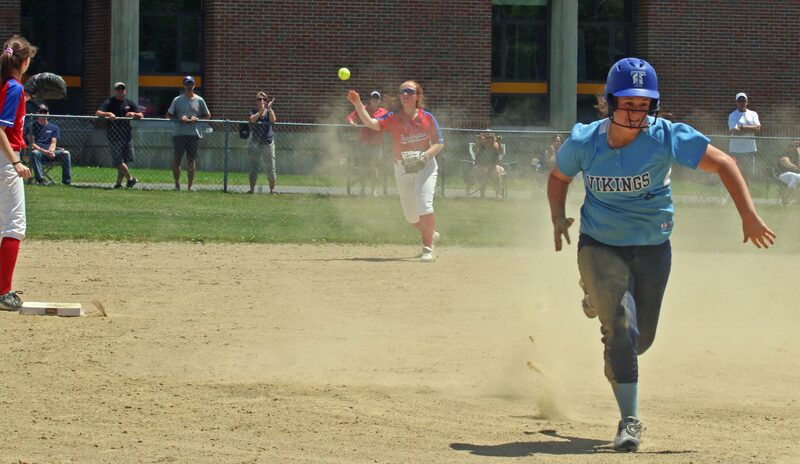 (Byfield MA) A year ago Burlington’s Christina Clark struck out seventeen Triton Vikings on her way to a 9-0 first round win in the D2 North softball tournament. With that in the back of my head, I went over to Triton today wondering what to expect a year later in a quarterfinals matchup between the same two teams. 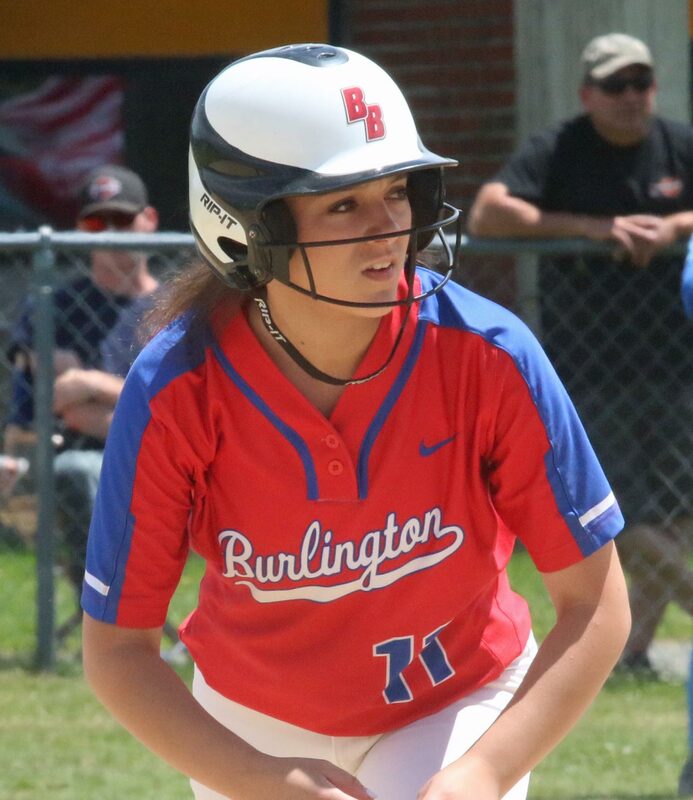 Burlington (17-4) prevailed, 2-1, on a beautiful Sunday afternoon and will go on to face Gloucester in the D2 North semifinals. As far as pitcher Christina Clark is concerned, she’s still an overwhelming presence. Today she recorded nine strikeouts and allowed only one hit. 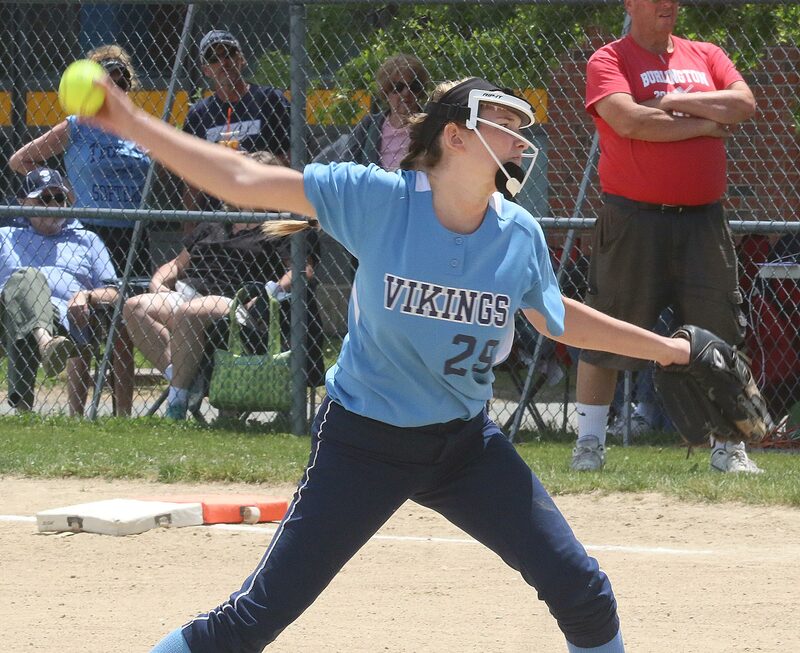 The Vikings had only three baserunners and little good contact off the junior. 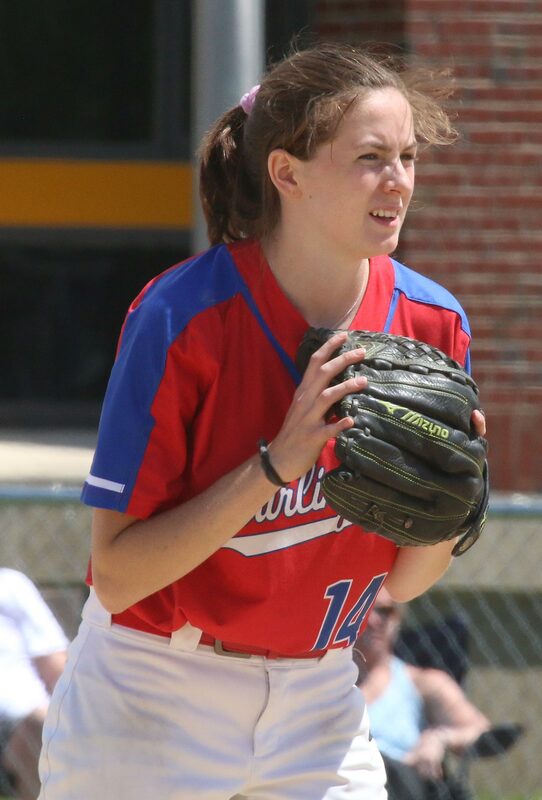 Lost in the deserved excitement over the pitching of Christina Clark was Katherine Quigley’s performance for the (17-3) Vikings. 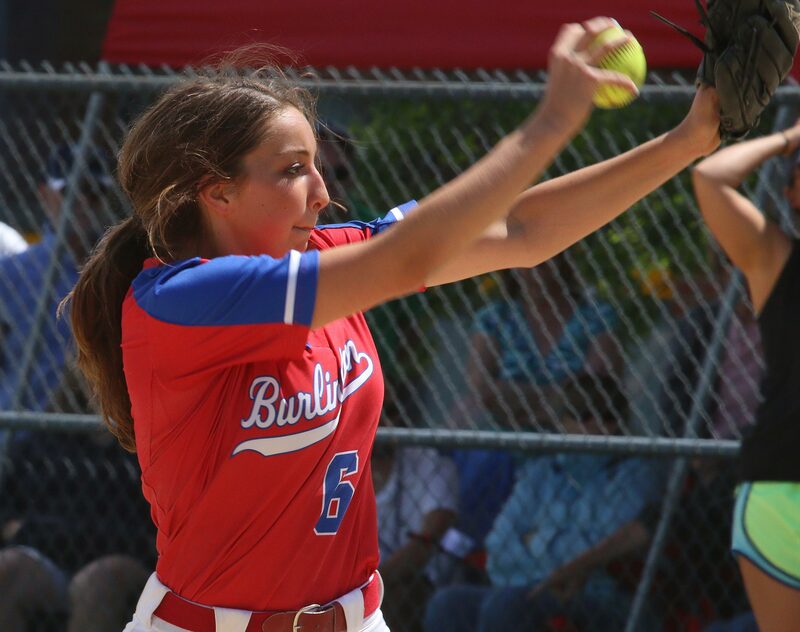 The sophomore limited the Devils to five hits and retired the last eight batters she faced. 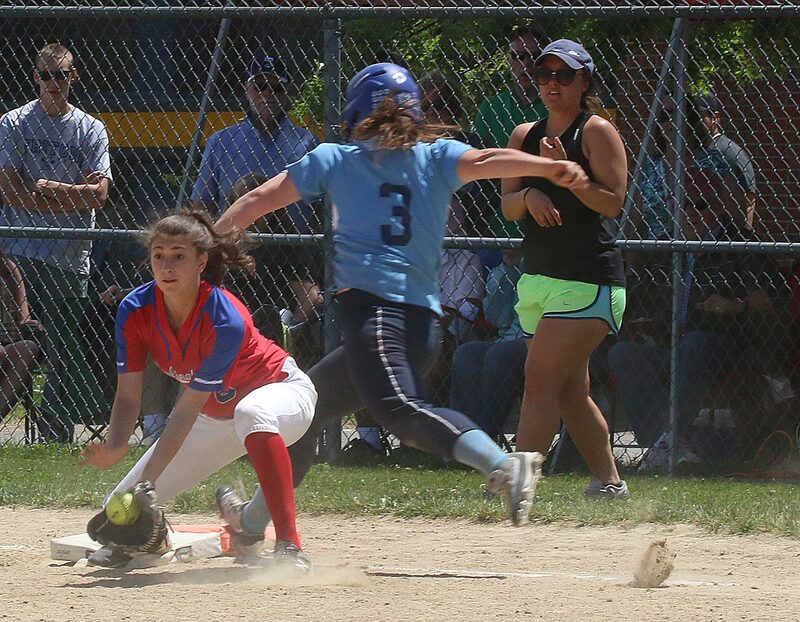 The Devils had only one error (3B Sydney Shinopulos throw) and Triton turned it into a run in the second inning. 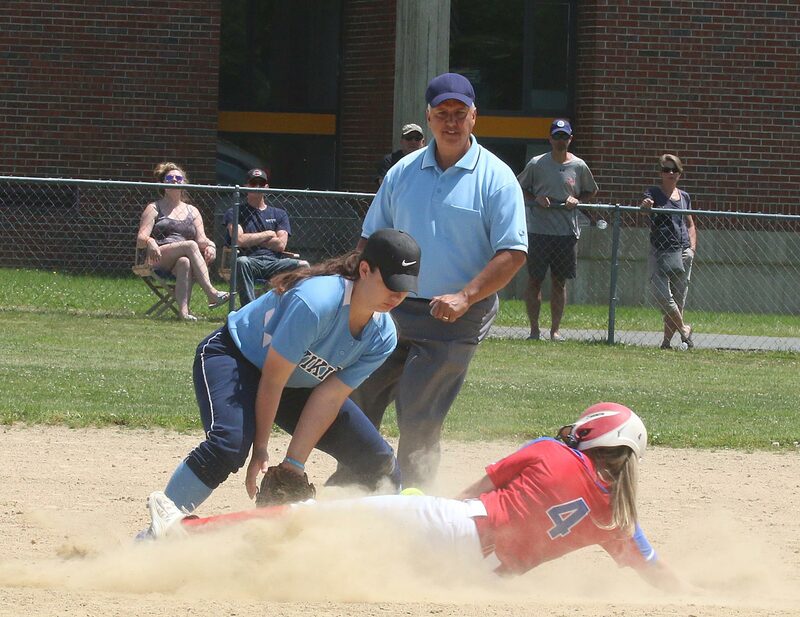 Bridget Sheehan walked and reached 3B when Sydney’s attempt to turn a grounder into a force-out went past second allowing Bridget to reach third with one out. 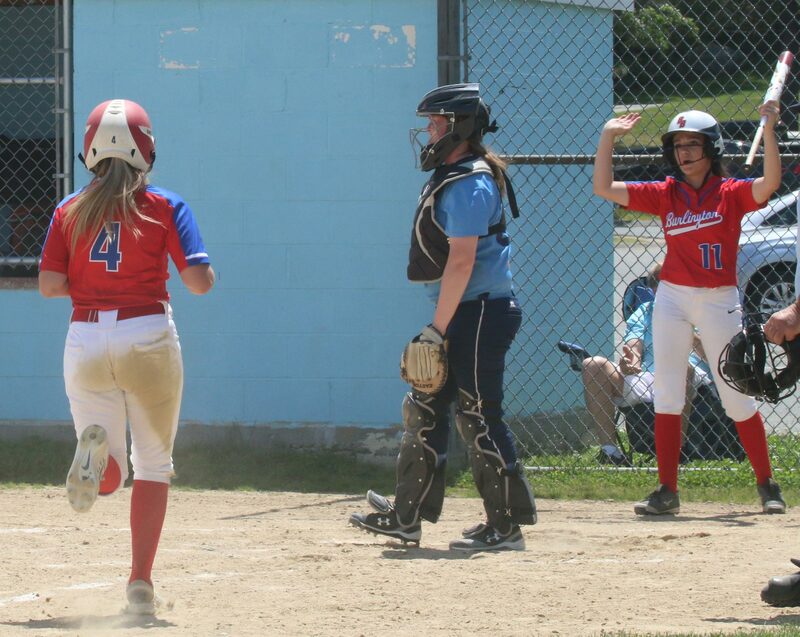 Senior Liv Doane’s slow roller to second enabled Bridget to score. 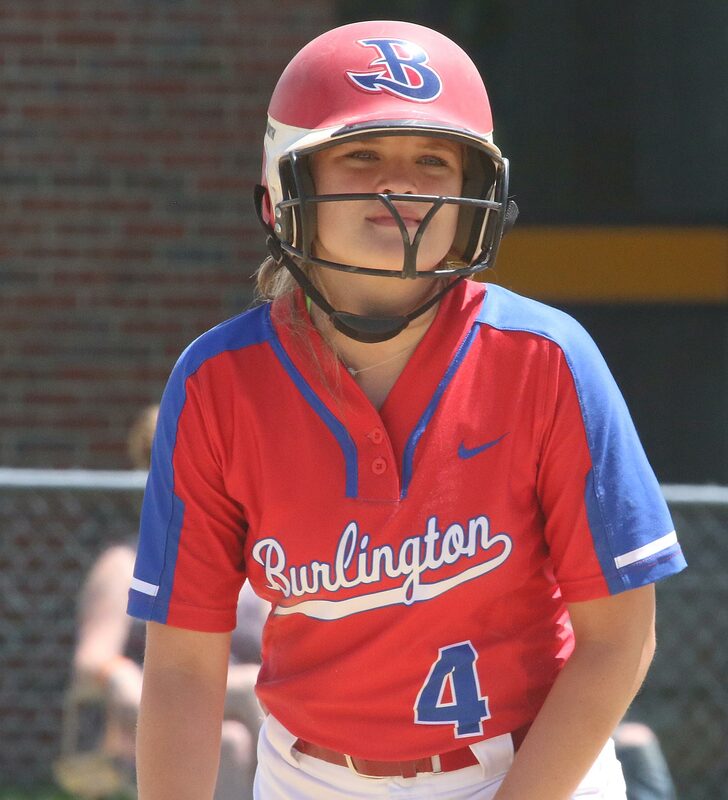 Burlington came back to tie the game in the top of the third inning. 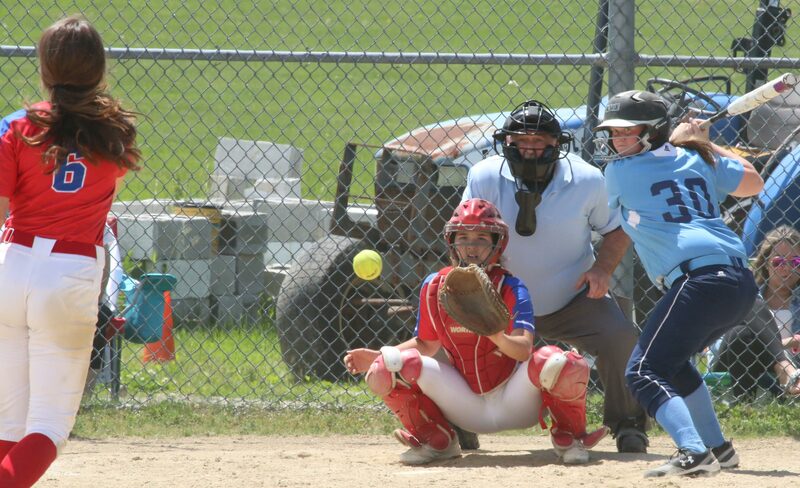 Erin Browne’s bunt (down the first baseline) forced a wide throw by catcher Liv Doane. 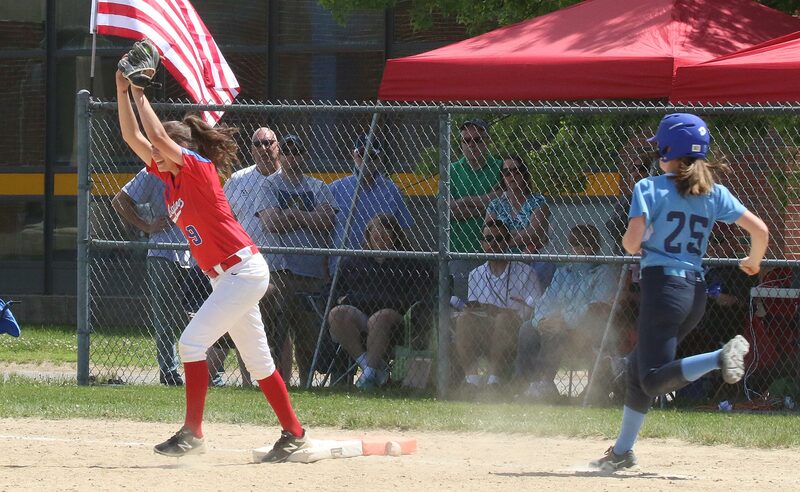 Erin stole second with two outs and came home on Chloe McGonagle’s single to right. The visitors put together the eventual game winner in their half of the 4th. 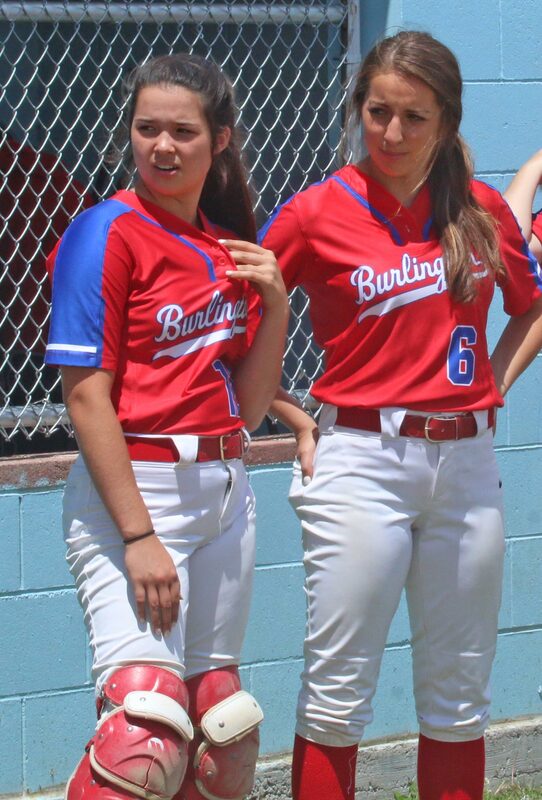 Christina Clark reached on a leadoff blooper over third base. Fran Rubino sacrificed Christina to second before freshman Sydney Shinopulos dropped an 0-2 single into right scoring Christina. Christina slid in but as my picture above shows she was in well ahead of the throw. The improved defense was a factor for Triton in their very successful season. 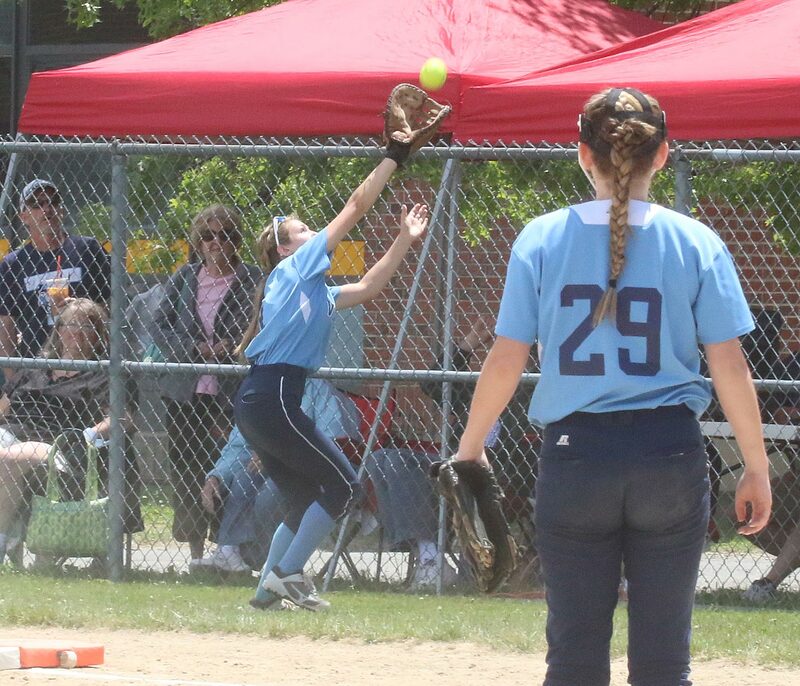 LF Grace McGonagle made several nice running catches for the Vikings. “Our defense was lights out again,” said Coach Dupere. Both Coach Farrell and Christina Clark commended Triton. 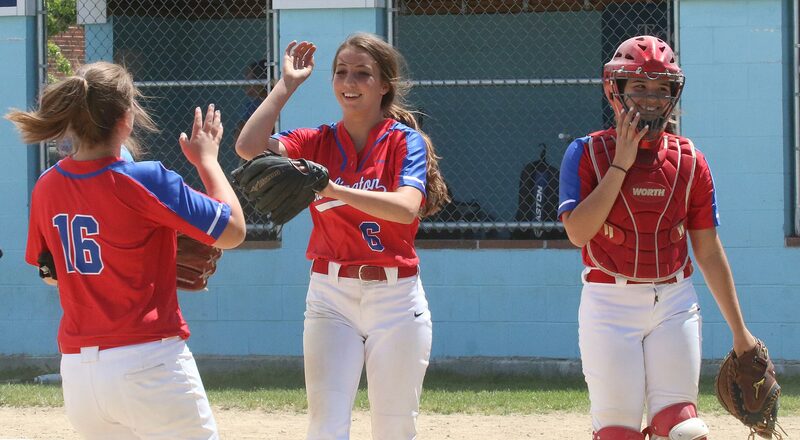 “Triton hung tough,” said Coach Farrell. The Devils now return again to the D2 North semifinals and will face Gloucester on Wednesday in Lowell. North Reading will also be in the semifinals at the same place and on the same date. Encouraging for Triton that the three losses this season were against two teams (North Reading & Burlington) which have now reached the D2 North semifinals. “Burlington was probably the best team we’ve faced all year and we probably played our best game of the year,” recalled Coach Dupere. Plenty of sunshine today but the game was so quick that the tanning/burning was limited! If I could give Triton softball two pieces of advice they would be these: Schedule twenty games instead of eighteen. Seventeen days off before the playoffs is unconscionable. 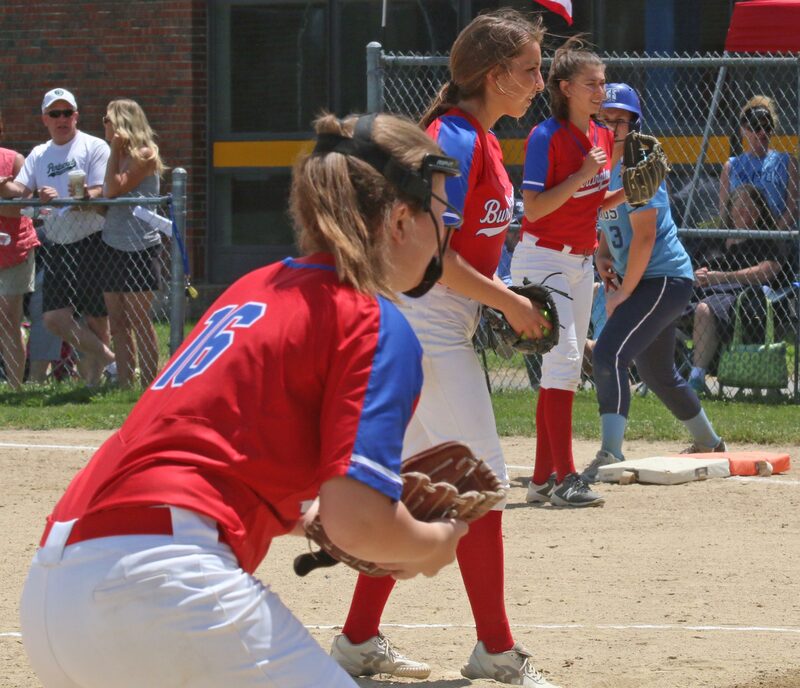 The other thing would be to get a perennial tournament team like St.Mary’s, Burlington, Whittier on the schedule to prep Triton for tournament pitching and hitting. Nice to see some of the Pentucket players on hand. They lost in the first round to Burlington, 5-1. 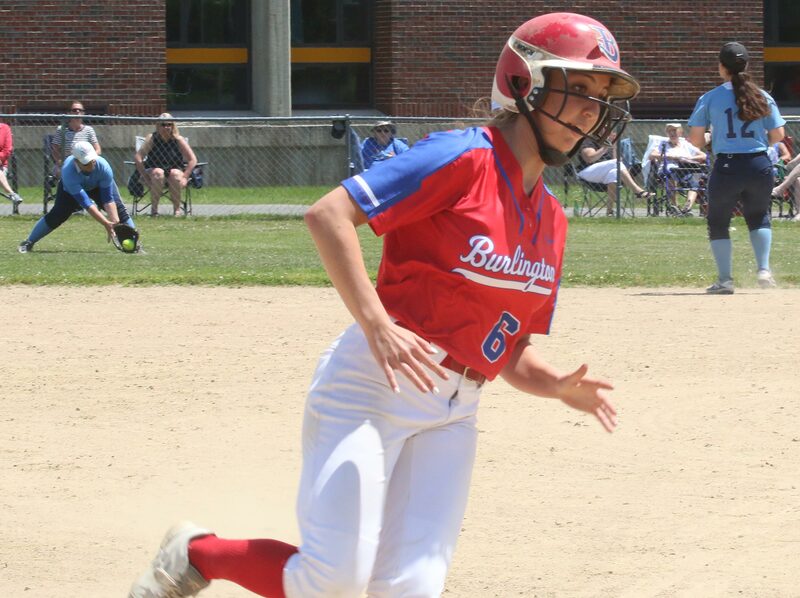 Burlington has been the champs of the Middlesex League for seven straight years. 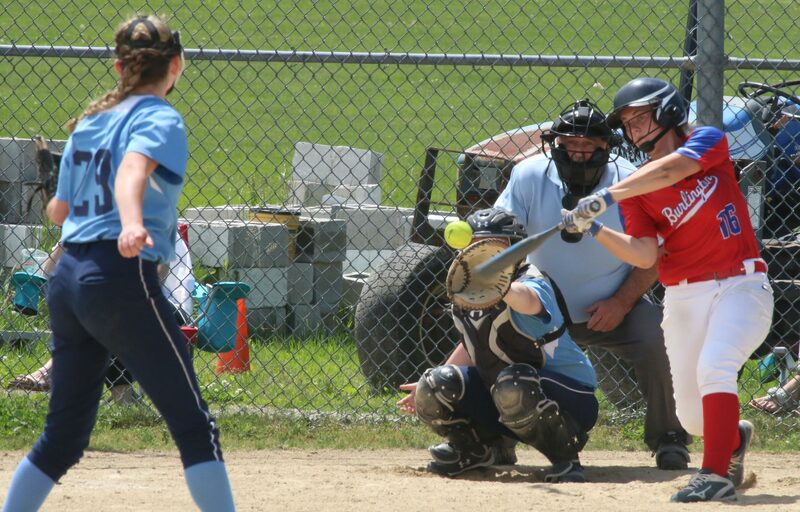 Sophomore Chloe McGonagle was the only player with two hits in the game. 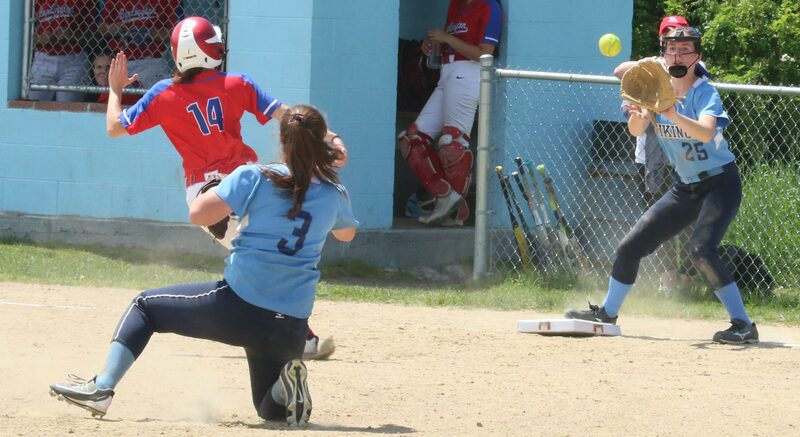 Bridget Sheehan had Triton’s only hit on this very close play.